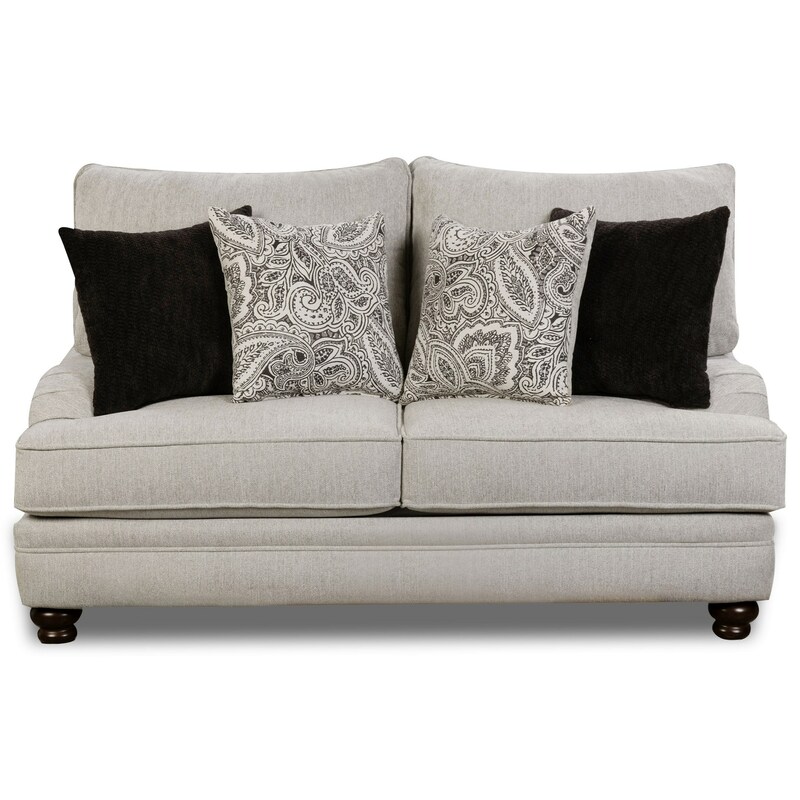 This loveseat showcases a traditional style with t-cushions, plush back cushions and pleated arms. The turned legs add more detail to the piece while the accent pillows bring neutral (easy-to-match) hues to the ensemble. Use this piece as an accent or with other items from its coordinating collection. The Griffin Traditional Loveseat by Corinthian at Great American Home Store in the Memphis, TN, Southaven, MS area. Product availability may vary. Contact us for the most current availability on this product. Padding & Ergonomics Seat foam is 1.8 density, 28-30 lbs PSI Compression. Seat backs are Poly Dacron filled. The Griffin collection is a great option if you are looking for Traditional furniture in the Memphis, TN, Southaven, MS area.